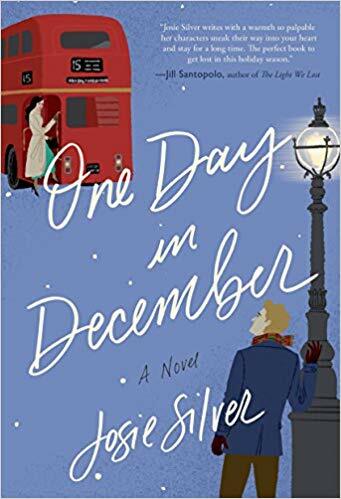 ONE DAY IN DECEMBER (Crown) by Josie Silver is pitched as “Love Actually” meets “When Harry Met Sally” – this novel had my name written all over it! Laurie is pretty sure love at first sight doesn’t exist anywhere but in the movies. But then, through a misted-up bus window one snowy December day, she sees a man who she knows instantly is the one. Their eyes meet, there’s a moment of pure magic … and then, he’s gone. Her bus drives away, while he just stands there staring. Laurie spends the next year looking for him all over London until one day he shows up on the arm of her roommate, Sarah. She swears to keep her secret stored away, but falls for Jack every time he shows up with Sarah. Neither Laurie or Jack knows the other remembers that day on the bus. Ten years of friendship, misunderstandings, heartbreak and opportunities follow until …. Well, you’re just going to have to read ONE DAY IN DECEMBER. Readers can’t help, but root for Laurie and Jack, but at the expense of Sarah? Three doesn’t seem to be a crowd, until it is. ONE DAY IN DECEMBER is the perfect novel to read to get readers into the Holiday spirit. Thanks to TLC Book Tours and Crown books, we have one copy to giveaway. Just tell us what your favorite romantic comedy is … book, movie, whatever. We’ll announce a winner soon. Good luck. This sounds like Serendipity! Would love to read it. Serendipity is my favorite rom com movie! I would love to win this book especially if it is like Love Actually. My son and I loved that movie we watched it together all the time up until he passed away. Thank you for the chance. would love to read this book. It sounds intriguing. You’ve Got Mail, I love that movie. I love the movie Serendipity. 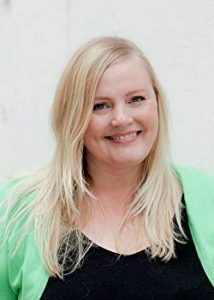 My favorite romantic movie is Along Comes Polly. This book sounds great! Sleepless in Seattle is my favorite comedy movie. I love romantic comedy books! I watch Serendipity every year. I never tire of it. One of my favorite romantic comedies is Notting Hill! You’ve Got Mail. I so want to read this! I enjoyed “to all the boys I’ve loved before” =) thanks for the chance! Love Actually and The Holiday. I love Chances Are and You’ve Got Mail. I cant wait to read this book! Its on my TBR list!! Thanks for the chance to win! You’ve Got Mail is my favorite romantic comedy. Notting Hill is the best! 10 Things I Hate about You. I used to watch that movie multiple times a day and it’s where I first fell in love with Heath Ledger. How to Lose a Guy in Ten Days! I’ve seen it so many times!